Such measurements are vanity metrics – ones which tell us what numbers we are getting in terms of followers and views but do not provide any real insight into the kinds of people your business is creating engagement with or the return on investment of your marketing efforts. With vanity metrics you can easily fool yourself into believing your marketing efforts are successful when in fact they are not. You may have had hundreds of views on your latest blog post but if no one clicked through and converted then how much of a success was it really? Visibility of your content is of course very important and therefore you do want to get as many people to follow you on social media and read your blogs as possible, but it is not just a numbers game. Analytics technology puts a huge amount of measurable data at marketers’ fingertips, and can provide us with so much insight into not only what actions a visitor has taken on your site, but can also drill down into information such as why they visited and what they were trying to do, as well as an understanding of where you should be focusing your marketing efforts in future. So, if vanity metrics are not the way forward, which key metrics should you be monitoring in order to measure your inbound marketing success? This includes visitors who have arrived at your website through organic search as well as social referrals. Determine how much of this traffic goes on to convert to leads, and whether those leads ultimately turn into pipeline and revenue. This is a great way to prove that all the content, blogging, SEO linking, and social activity you are carrying out is actually impacting your bottom line. You can then drill down into which content areas or social platforms have resulted in the greatest increase in traffic, and thereby learn where to focus your efforts in future. Once a visitor has consumed a piece of relevant content, whether it’s an email or a blog, a strong call to action is the best way to move them down the funnel, linking them to a landing page where they can fill in their details to receive an offer such as an eBook or webinar. In many ways landing pages are more powerful than your other website pages. The practice of removing navigation on your landing pages means that when your visitors are on your landing pages, they stay there unless they choose to actually exit your page or they convert on your offer. With this captive audience, you have a great opportunity to use this page to move them along on their buying journey. And make sure you test everything you do to see which aspects of your landing pages lead to the highest visitor-to-lead conversion ratio. Do these pages have calls to action? Are the CTAs related to the topic of the page on which they are placed? Are they appropriate to the various stages of the buyer’s journey? Understanding which CTAs to offer visitors is critical. For example you don’t want to place your Bottom of the Funnel offer on a Top of the Funnel page, regardless of how heavily trafficked it is, because the visitors will not be ready for such an offer. Your audience may be engaged and devouring every piece of content you put out, but how do you know that they are qualified or whether they’re even planning to purchase in the near future? Your lead to customer rate tells you what percentage of contacts that have engaged with you will ultimately go on to make a purchase. Have you generated any new business as a result of your inbound marketing activities? 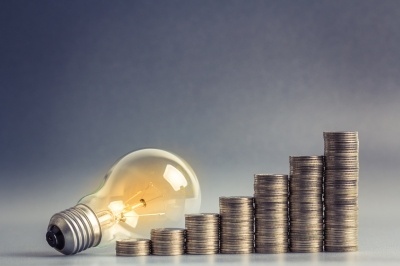 Many analytics and marketing automation software platforms make it easier than ever to measure the ROI of your inbound marketing activity. Tools like HubSpot’s Sources Report make it very easy to gain visibility of this. You can see exactly how your website visitors found you, including who is coming in from organic search, from social media, from email marketing referrals and even direct traffic. The great thing about the Sources Report is that it doesn’t just tell you where your visitors came from, it also tells you how many of those visitors converted into leads, and then into customers – and it breaks it all down by channel. If you’re carrying out your inbound marketing effectively, you should be seeing inbound results under all channels! 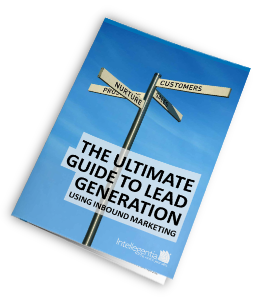 Want to understand how your sales and marketing efforts can take a leap forward, review our ebook "The ultimate guide to lead generation using inbound marketing"